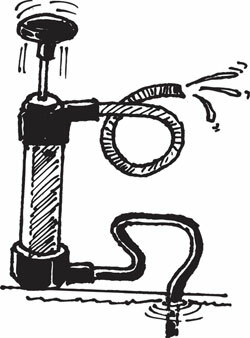 Manual liquid transfer system. 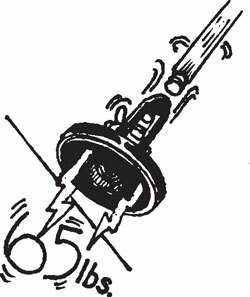 Push the plunger and siphon…well, whatever you need to siphon, we don't ask questions around here. Also functions as an air pump. You get the pump, (2) 50" long hoses and adapters for a beach ball and a standard Schrader air valve. 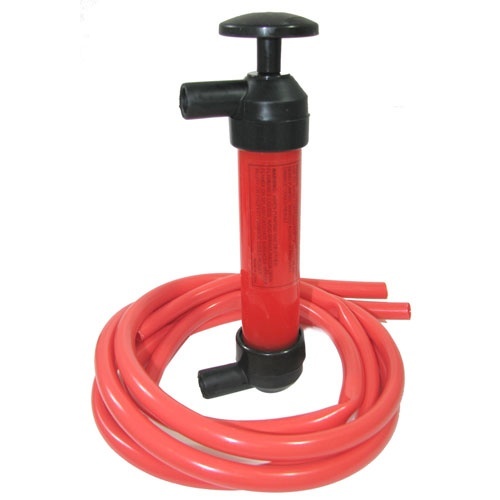 Pump itself is 7-1/2" long and the inlet and outlet are both 1/2" ID. 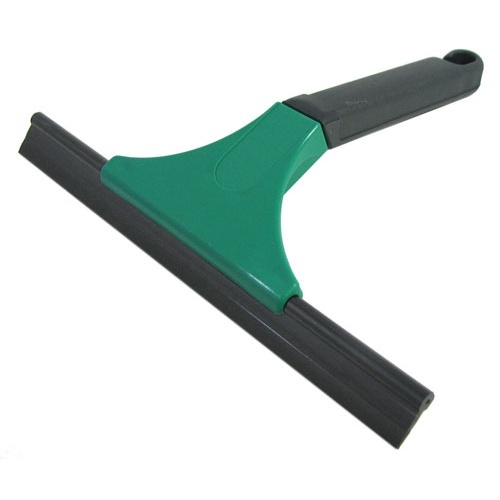 This 9" wide rubber squeegee has a removable 5" handle for storage, e.g. in a glove box. 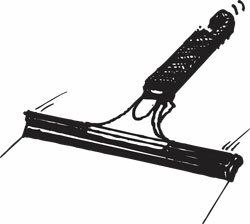 The squeegee itself slides out of the holder and becomes 9" x 3/4" for the ultimate easy storage. Good for car windows, house windows, shower doors, and it just happens to be perfect for our 9" x 12" computer monitor. 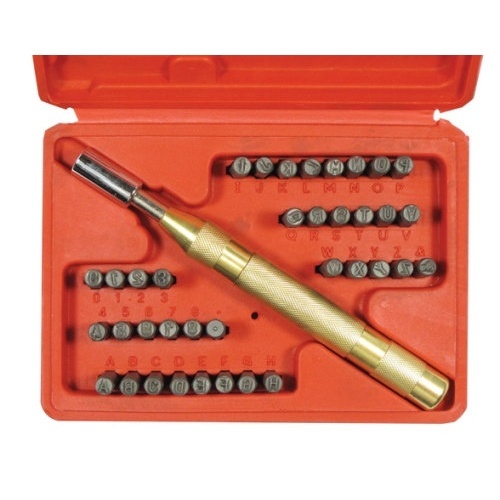 Punch 1/8" to 1/2" holes in leather, balsa wood, etc., with this set of (9) steel punches. 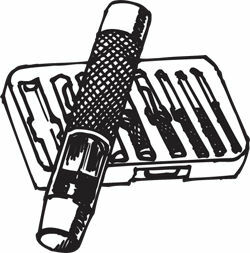 The punches, which come in a fitted black-plastic carrying case, are 1/2", 7/16", 25/64", 3/8", 5/16", 1/4", 3/16", 5/32" and 1/8". 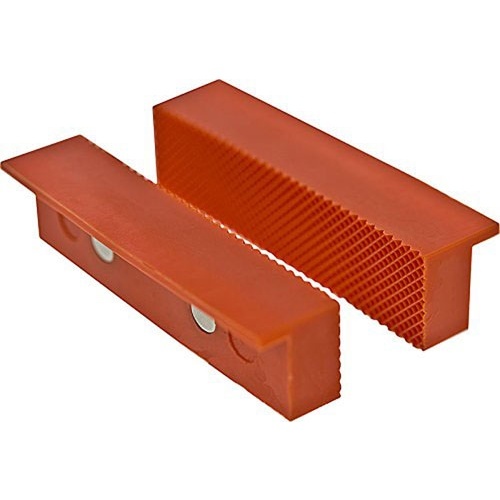 They are 3-1/4" to 3-3/4" long, with knurled grips, imprinted sizes, and side slots to allow the slugs to fall out. Small, but mighty useful if you need a tiny tap and die set for threading wire or stripped screws. 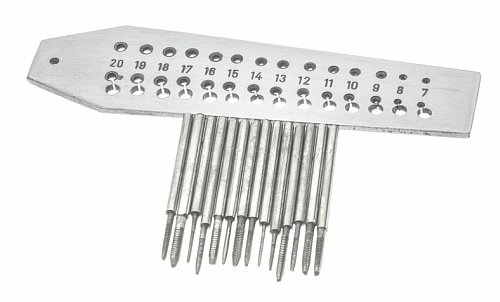 The micro set has a 3-1/4" long die plate and 14 taps (sizes 7 through 20 -- read 0.7 mm through 2.0 mm), and a mighty attractive price. A little oily in its vinyl storage pouch -- but it's all steel, after all, and has to safeguard its complexion. Like a 300-lb Labrador for the shop. 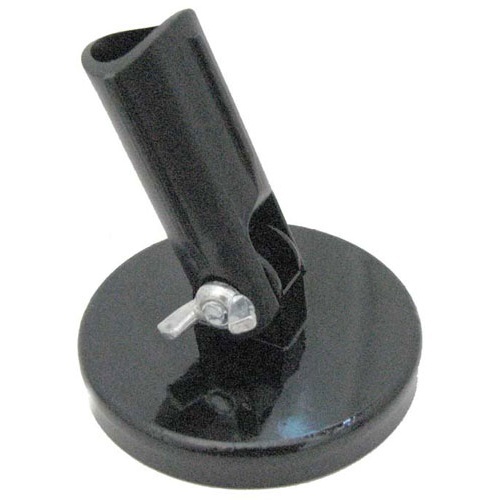 Our ceramic lift magnet is mounted in a metal housing with swivel that will attach to a standard threaded broom handle or painter's pole. 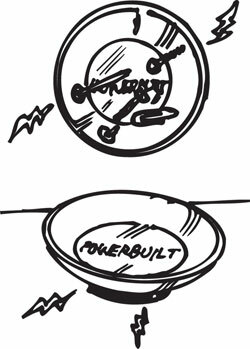 Will lift approx 65 pounds, enough to retrieve microwave ovens from storm sewers or pull a small outboard motor from the bottom of a lake. Maybe. 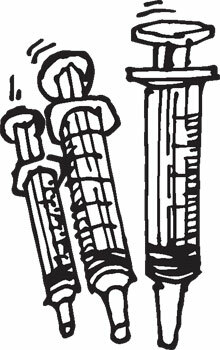 Shove these down the throat of your bigger bottles or tubes and clean up. 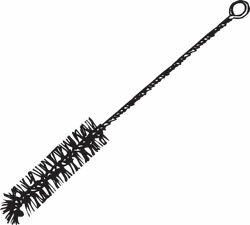 Measure 16" long over all, with 4" long x 1-1/2" dia spiral nylon bristles on a stainless steel handle and a small, but bendable, metal nub on the bottom. 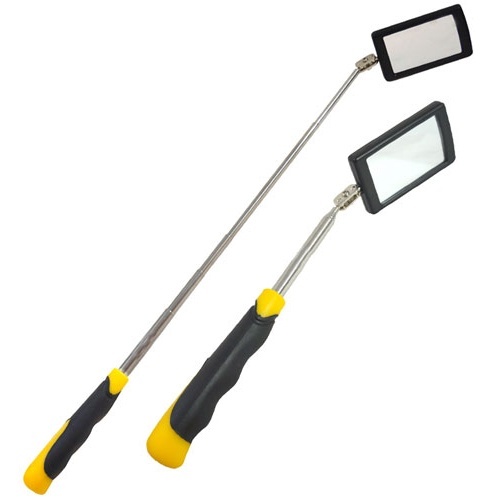 A 2-1/2" x 1-5/8" plastic-framed mirror swivels on a ball-joint mount at the end of telescoping handle that stores at 8" long and extends to 31". 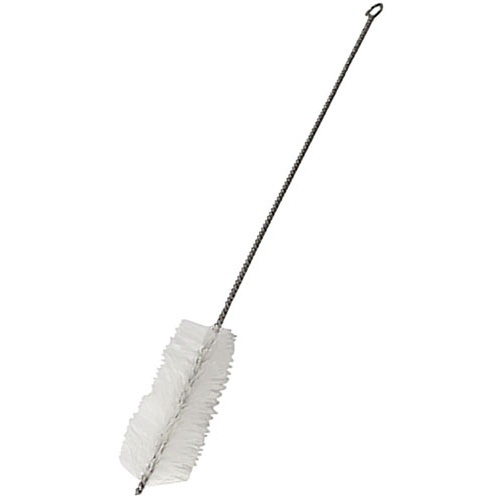 The contoured rubber-coated handle makes those double-shift inspection days a little easier. 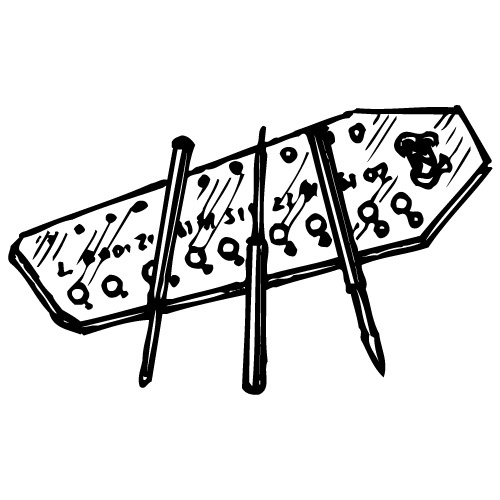 Hang on to your widgets, screws, bolts, pins and assorted teeny tinies while you're taking things apart. 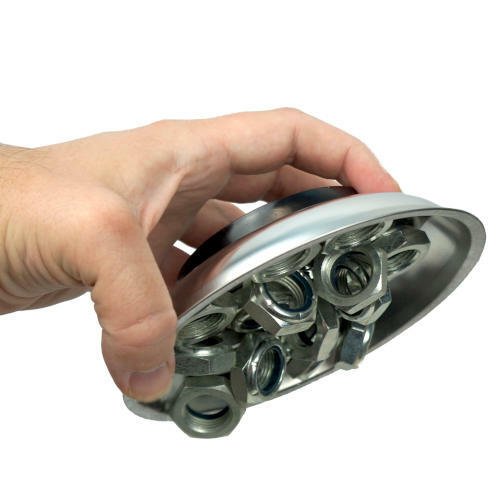 This indispensable 6" dia x 1-1/8" deep magnetic stainless steel dish from Omaha Tools holds all those parts and saves you from crawling around on the floor later, when you're putting things back together. 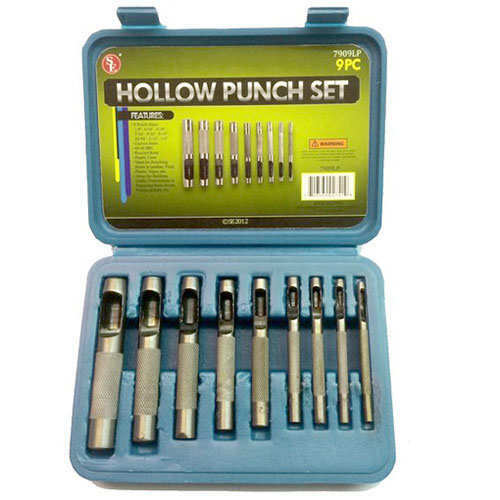 Permanently mark soft metals, plastics, leather and wooden items with this excellent 38-piece punch set. Imprint 1/8" characters -- 26 uppercase letters, numbers 0-9, a period and an ampersand. 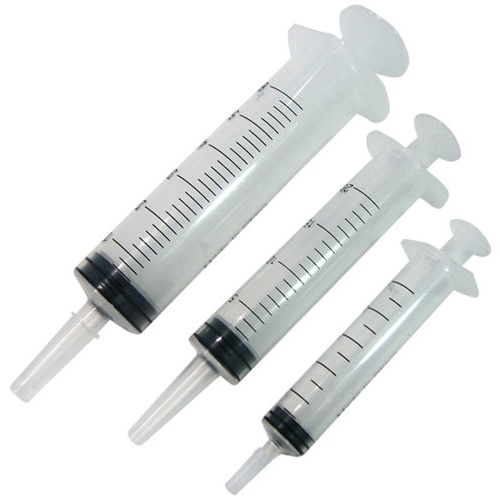 It comes with an automated, spring-loaded punch 6-1/2" long, all stowed in a permanent, molded-plastic storage case.